Whooshers.com Mentioned in Good Housekeeping UK! Thanks to our friends on the other side of the pond for this exposure to help increase pulsatile tinnitus awareness! 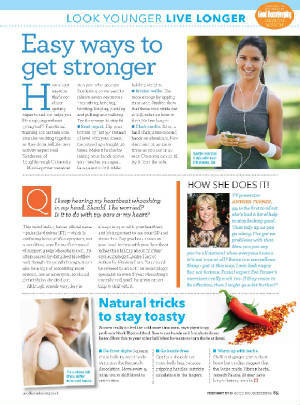 The piece is in the Good Housekeeping UK Feb 2016 issue, in their "Look Younger, Live Younger" page. To see the article in full, click on the Whooshers News & Press page and download the PDF. My question is, Queen Elizabeth, are you reading Good Housekeeping UK?